I just LOVE this card Rita, wow! This is absolutely gorgeous. The cherry blossoms steal the show! And I've decided to burn my Patriots sweatshirt. 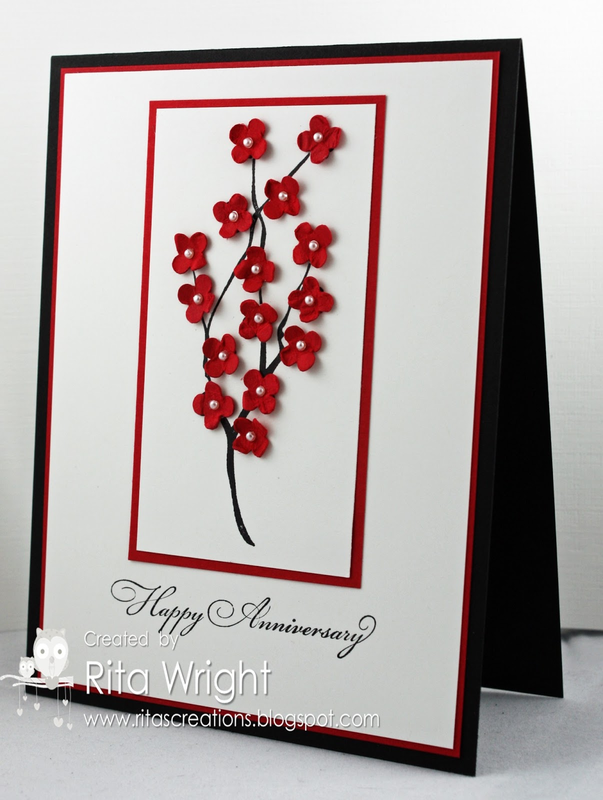 What a beautiful card, Rita! I love all of the dainty flowers with the sweet pearl centers. Thanks for joining us at the Paper Players this week! 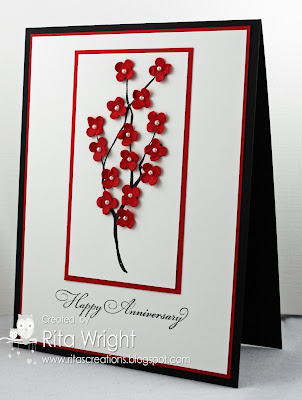 Gorgeous card, Rita! Love how the red pops against all that beautiful white space and those pearl centered flowers are beautiful! thanks for the inspiration, now I have a reason for keeping that set too :-). So glad you joined us this week! Rita, your card is just gorgeous! And so is your pumpkin :o) Glad you could join us at Dynamic Duos this week! What a beautiful way to use these colors! Your dimensional flowers are just so dainty and sweet! Laila is getting so big.....trust me, she'll crawl when she's ready and you're right....she'll be into lots of things! 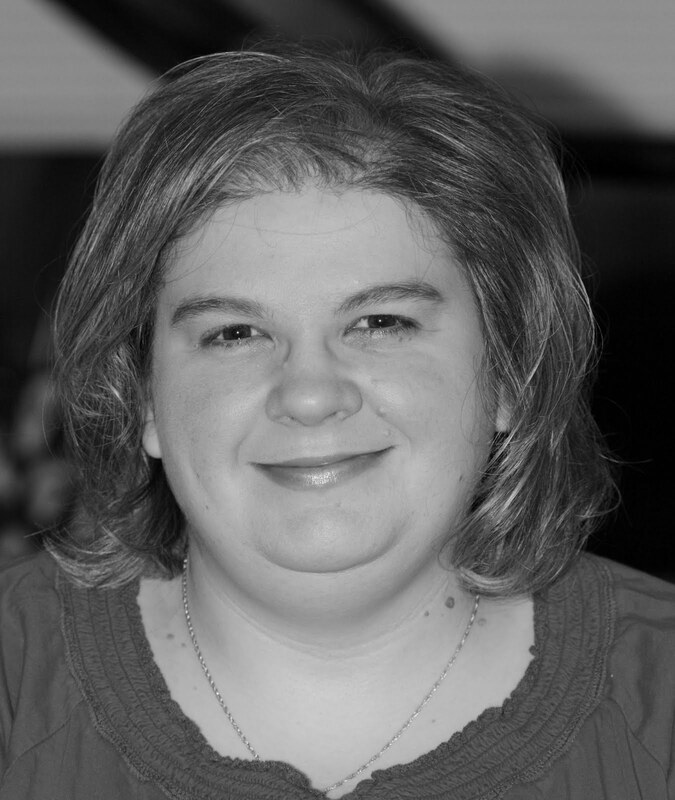 So glad you joined us at the Paper Players this week! Beautiful, love those flowers, pure perfection!! 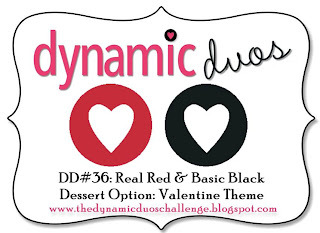 Thanks so much for joining us this week at Dynamic Duos. Gorgeous Rita! Thanks for playing at The Dynamic Duos this week! It's a breath of spring time hope. Very pretty indeed. Wow! Clean and classy! So elegant! Thanks for playing with The Paper Players! Beautiful! Reminds me of cherry blossoms! 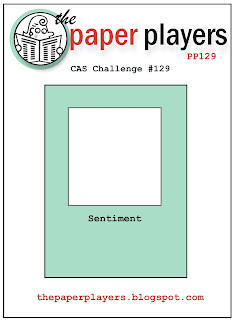 Thank you for playing along with the Paper Players this week! Sweet - simple and stunning!